Imagine coming home to this serene setting every day or watching it from anywhere on your phone or tablet through Smart Home technology! 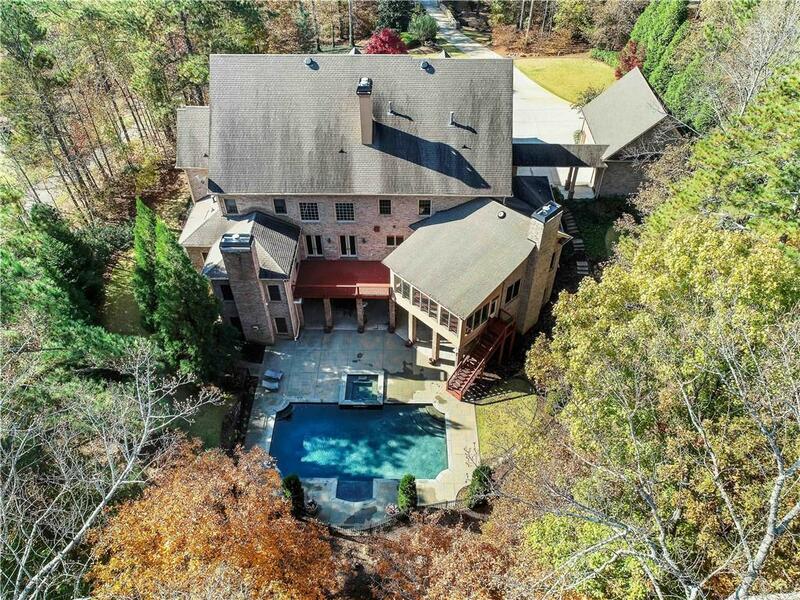 This custom estate sits on 2+ acre lot with Lake Frontage. The front door opens into soaring ceilings and extensive mill-work throughout. Chefs kitchen with top of the line appl. Master on main has a sitting area & fireplace. Up the grand staircase hosts the 2nd master with a fireplace along with 4 other bedrooms & baths. The terrace level hosts a custom bar, theater, gym & sauna. Tranquil backyard setting has a heated pool, hot tub.